The transfer window is less than one week and Chelsea are yet settle ahead of the new season despite the arrival of Maurizio Sarri. The future of several players particularly winger Willian has been a subject of intense speculations as he continues to be linked away from Stamford Bridge. However, Chelsea have prepared contingency plans for the right wing position as the Blues have joined in the race to sign free agent Bernard. 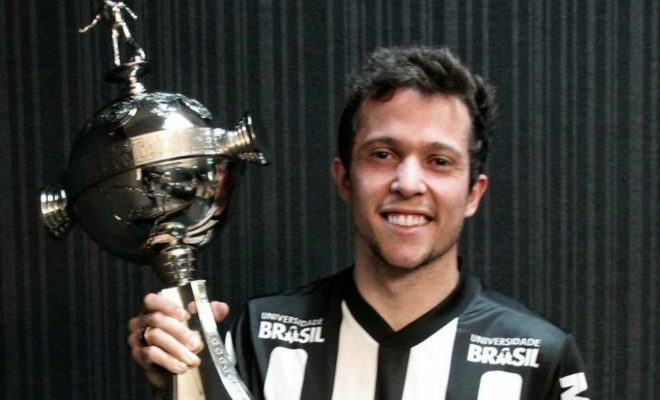 The Brazilian winger is viewed as a natural replacement for Willian and talks have started between both parties. The 25-year-old is out of contract after spending five seasons with Ukraine giants Shakhtar Donetsk and is coveted by many clubs. Bernard was initially thought to be close to a move to AC Milan, however, several Italian tabloids have reported on contract talks stalling. The reports claim that Bernard insistence on a contract worth £3 million yearly and his agent’s demands for higher commission have seen the deal hit snag. Chelsea have no problem matching these demands and have emerged favourites to secure his signature. Besides Bernard style of play fits Sarri philosophy of quick fast wingers who love to cut inside and shoot as the Italian imposes his style on the Blues this season. The deal looks good for both parties as Chelsea get a talented player just reaching his peak, while Bernard earns his wages at one of the biggest clubs in the world.